While our largest representative org sits back and does nothing other than waiting and seeing...tomorrow’s protest in Parliament Square, organised by the ITA, goes ahead as usual. 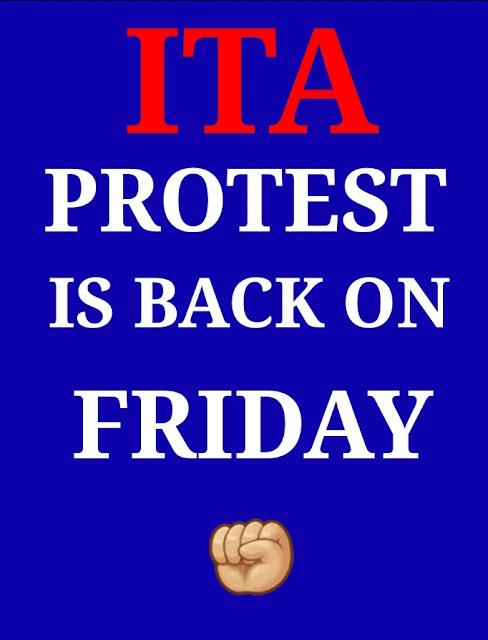 Starting on Monday April 1st, the ITA will be going on tour....we will be protesting in Camden, Hackney, islington and the city....venues will be announced by word-of-mouth. Counsellors from Camden, Hackney and Islington are using fictitious statistics, pulled out of thin air with no basis in fact. They are coming up with excuse after twisted excuse which has enlightened us to the fact that we are in the fight of our lives. We will be carrying on the fight to highlight hypocrisy of these Labour councils. They claim they ludicrous schemes are all about children! 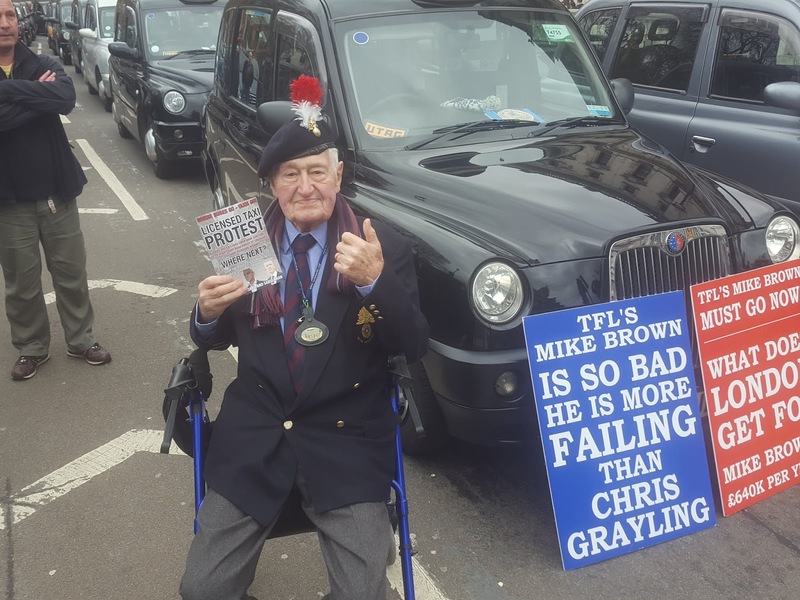 But what you need to realise is that TfL’s buses will carry on regardless down the very same streets Taxis are to be excluded from. Do our children only get COPD from Taxis? Are TfL’s buses COPD free? As TfL’s underground has the most polluted atmosphere, will these councils be banning the Tube from running through their boroughs? THIS IS THE CYCLE LOBBY! Unfortunately 95% of our trade think that we few protesters can do just fine without them and they can carry on working. It’s this 95% who are losing the battle for us. 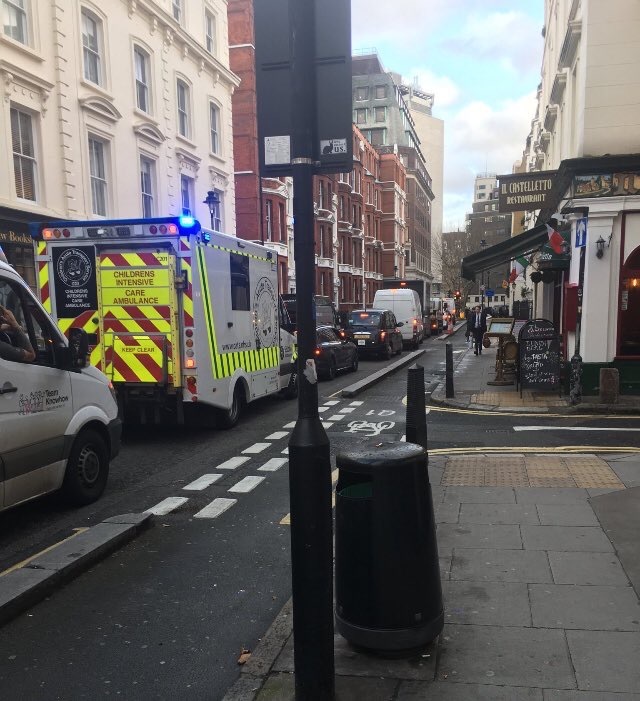 Take a look at this photo, then look again, you’ll see a children’s intensive care ambulance trying to get to @UCLchildhealth through the contrived gridlock in Bury Place, the people who implemented this madness now give themselves "cleaner air" awards. 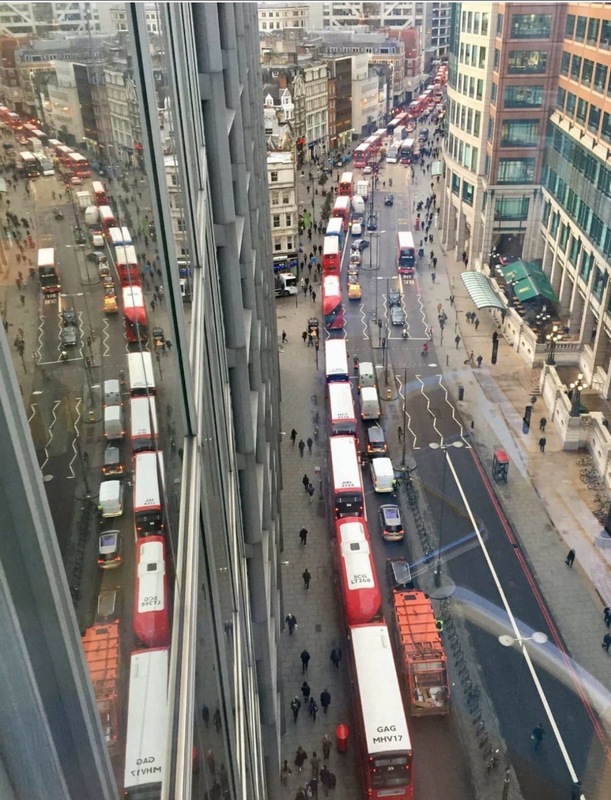 Bishopsgate Buses averaging 5 passengers. The hypocrisy of CoL, the MayorofLondon and TfL is painfully apparent. Sadiq Khan's and TfL's war against Taxis, using the guise of pollution, via imagined statistics and manufactured gridlock, is about grabbing passengers out of cabs and shoving them into buses and onto the tube, which is 30 times more polluted than out side in the streets above. It is interesting reading this article & the mention of 95% not being interested. This is because it could be assumed that 100% of that 95%, would take advantage, if any benefits were to be gained by the 5%. However, maybe they are so deluded that they think everything will be ok & there is nothing to worry about. Then again this same 95% are still probably wondering why the tooth fairy doesn’t reply to their notes anymore. However, there are always those who will constantly & willingly eat at the table of another, without contribution or concern! Ahh, but electric vehicles do not produce emissions, so the plan is for everybody to be stuck stationary roads so long as they don't produce emissions.